As findmypast releases thousands of new Pals records, Paul Nixon gives a little background on the Pals and their place in British history. The term Pals was first coined by Lord Derby at a recruiting meeting in Liverpool on Friday 28th August 1914. He described the concept of men who worked together joining up and fighting alongside each other. Derby urged his enthusiastic audience to sign up for service at St George's Hall, Lime Street the following Monday. By 10am that morning, Lord Derby had his first battalion of Pals and two more battalions would be signed up within the week. A fourth would be added later. During World War One a total of 144 Pals or Pals-type battalions were raised. A Pals Battalion is defined as a unit raised by a local authority or private body which undertook to organise, clothe, billet and feed the recruits. The provision of weapons was the responsibility of the Army. Once the War Office accepted the offer of a Pals Battalion, reimbursement for expenditure took place. Lord Kitchener originally called for volunteers, and he firmly believed that this new army would be the match for the Germans. Rather than rush his new recruits straight into battle, a lot of care and attention was lavished on them. From inauspicious beginnings, when many Pals trained in civvies and held broom-handles as makeshift rifles, they were drilled, drilled and drilled again. Many of the battalions didn't leave for France until late 1915. “We were well equipped, well trained men and intelligent men [and] we were all volunteers. There were no conscripts in 1916. They were well trained young chaps and they just slaughtered them, hundreds and hundreds of them for nothing at all." That was the tragedy of the Pals Battalions. The men who lived in the same streets, who worked together, joined up together and trained together, became casualties together when they faced the German machine guns on the Western Front. After the opening day of the Battle of the Somme, many Pals Battalions effectively ceased to exist. When replacements were drafted in, they were men who were posted to make up numbers only. The special character of those battalions was lost forever. There are also new releases for the Stockbroker's Battalion, generally acknowledged as the first Pals-type battalion, The Sportsmen's Battalion and the Southdown Battalions, which comprised three battalions of the Royal Sussex Regiment. 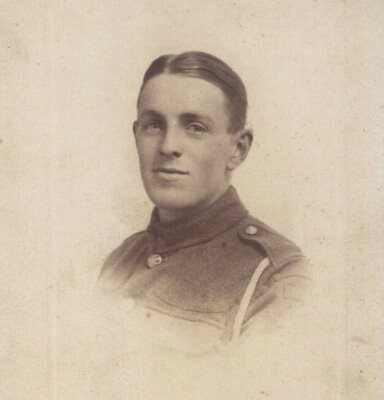 The information recorded varies but can often include details about the man's company or platoon, the date he arrived overseas, where he was born, where he enlisted, what his pre-war trade or profession was, whether a service record survives for him, whether he was promoted or subsequently transferred to another regiment, whether he was killed in action. The collection represents the single largest collection of Pals material online, augmenting existing Pals collections for the Manchester, Oldham and Swansea Pals.